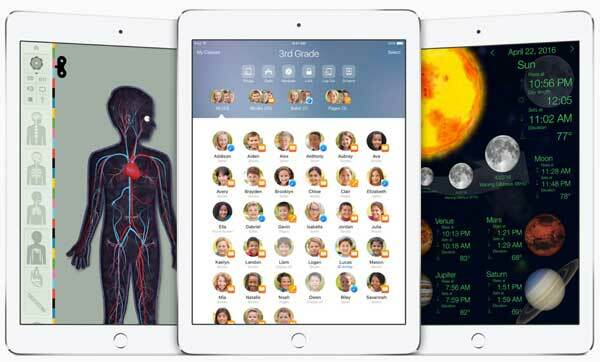 Apple announced changes aimed at education that are coming in iOS 9.3. 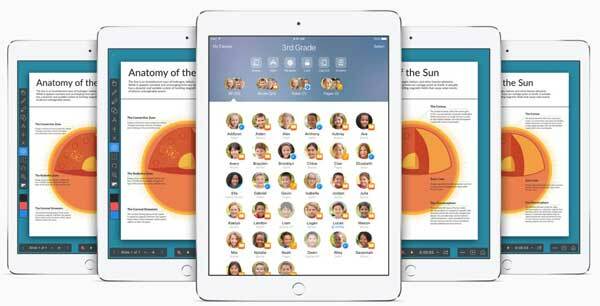 The changes allow a group of students to share iPads. Faculty will be able to set up profiles for each child in a classroom. Those profiles can then be used on any classroom iPad. Students log in to any iPad and have access to all their apps, books, and documents. With Apple iOS 9.3, teachers can guide students through a lesson, see individual progress including what’s on the student’s screen at the moment, and keep them on track. Teachers can project a student’s work on a classroom television equipped with Apple TV with AirPlay. Teachers can launch everyone’s apps at the same time, then guide what students are looking at on their devices. On the administrative side, there are tools for creating accounts, setting passwords, managing enrollment information, making bulk purchases of books, and creating and delivering lessons with iTunes U.
I think these changes will be important to educators from the primary school through college level. This entry was posted in Apple, general-education, mobiles, teaching tips, tools by vdebolt. Bookmark the permalink.